After the success of Rio Grande Valley FC in its inaugural season last year, Reno 1868 FC becomes the second USL club to feature a hybrid partnership between the San Jose Earthquakes and a local ownership group led by Herb Simon, whose other sports properties include the NBA’s Indiana Pacers and Pacific Coast League’s Reno Aces. 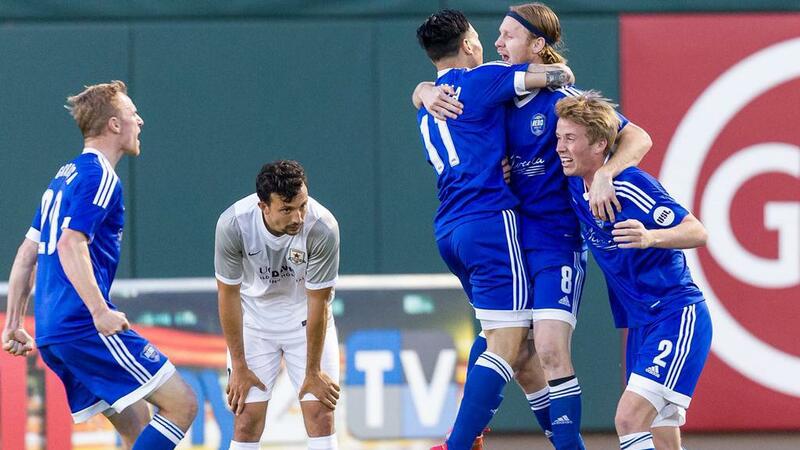 Led by former Quakes assistant coach Ian Russell, 1868 FC will take to the field with some veteran pieces as it looks to achieve early success at Greater Nevada Field. Goalkeeper: Reno currently has only one goalkeeper officially on its roster, with former PDL standout Russ Klabough joining the side for his rookie season after previously helping Midland/Odessa Sockers FC claim the PDL’s Southern Conference a season ago. Another option for the side could be Matt Bersano, who signed with the Quakes on Monday having started in 1868 FC’s preseason contest with Sacramento Republic FC this past weekend, making the 24-year-old former Seattle Sounders FC 2 goalkeeper a potential loan option for the club. Defense: The signings of Brenton Griffiths, a 2015 USL All-League Second Team selection, alongside Jimmy Ockford (Seattle Sounders FC) and Jordan Murrell (Real Monarchs SLC) gives Reno a good start at building its back line, with all three having performed well so far in their professional careers. The club’s partnership with the Quakes could be a boost here, too, with Kip Colvey and Matheus Silva both spending time this past weekend in Reno, while 27-year-old Swiss defender Nick von Niederhäusern brings experience and versatility that will allow him to also potentially slot into the 1868 FC midfield. Midfield: Salvadoran midfielder Junior Burgos was a nice addition to the 1868 FC squad, and the 27-year-old has plenty of USL experience around him as he looks to provide the creative spark for the side. Experienced midfielders Antoine Hoppenot (FC Cincinnati), Matt LaGrassa (Sacramento Republic FC), Jordan Roberts (Saint Louis FC) and Seth Casiple (Portland Timbers 2) are also solid additions, while MLS SuperDraft First Round selection Jackson Yuiell could also see time with the side on loan from San Jose. Forward: Reno’s first signing in club history was a major one, with USL all-time leading scorer Dane Kelly joining after helping the Swope Park Rangers claim the Western Conference Championship a season ago. The Jamaican has 48 regular-season goals in the USL, and had a standout performance in the postseason a year ago when his brace led shorthanded SPR past Orange County in the Western Conference Semifinals. The forward line also boasts former Sacramento forward Mackenzie Pridham, and Kelly’s fellow Jamaican Bryan Brown, who had nine goals and five assists for the Charlotte Independence last season. Strengths: 1868 FC’s forward line on paper looks like one that should have plenty of success this season, with the side having been showing its potency throughout the preseason. Three different 1868 FC players have recorded hat tricks, including Kelly, who will have a chance to become the first player to 50 goals in the USL era early in the season. However Reno’s expansion season progresses, it’s likely to be exciting. Weaknesses: The biggest concern for 1868 FC going into its first season is how well its defense will hold up. While there is good experience within the group with Brenton Griffiths and Jimmy Ockford, getting the chemistry needed to form a cohesive unit from the off could be a challenge, especially if regular rotation within the back line is needed over the course of the season. 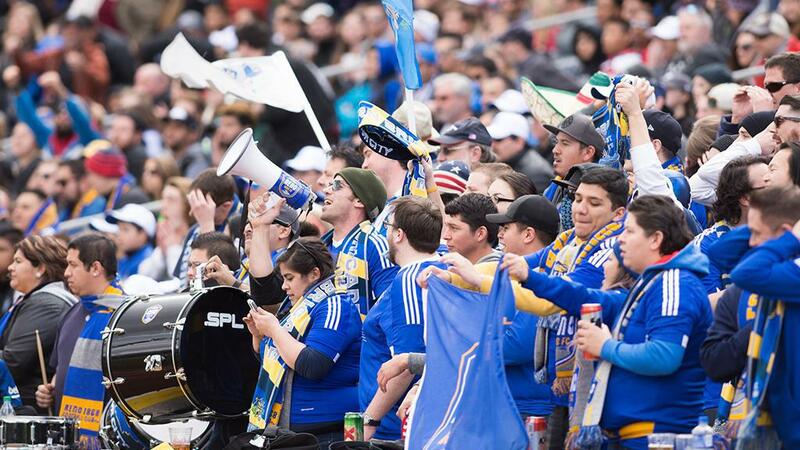 Key number: 6,289 – Reno welcomed 6,289 fans to its inaugural contest against the San Jose Earthquakes this preseason. If the club can come close to matching that figure over the course of a full season, led by the Battle Born Brigade, it should make for an excellent home-field advantage. Noteworthy matchups: Reno welcomes 2016 USL Cup Playoffs side Orange County SC for its inaugural home opener on the opening Saturday of the season, which should offer an idea of where both teams stand as the new season kicks off. 1868 FC hosts Sacramento Republic FC on June 10 in the first regular-season meeting between the two clubs at Greater Nevada Field, and the season concludes with the two sides meeting again on the final Saturday of the season in the Silver State.